Political jitters have fueled a sell-off in biotechnology shares in recent weeks as investors weigh the growing prospects of a Democratic sweep in the coming election that could bring heavier regulation for the industry, including restrictions on prescription drug prices. In a note to investors this week, biotech analyst Geoffrey C. Porges estimated that escalating market fears over the prospect of Democrats controlling Congress and the White House has shaved about $50 billion off the value of biotech companies since Oct. 7. That’s when a video was made public that showed Republican presidential candidate Donald J. Trump in 2005 using graphic language to boast about groping women. Since then, the value of the benchmark Nasdaq Biotechnology Index has dropped 6.6 percent. Porges wrote that the slide could be attributed to doubts about an “‘OK’ election result” — one that has Democrat Hillary Clinton beating Trump, Democrats winning back the Senate, but Republicans retaining a majority in the House of Representatives. While Trump and Clinton have criticized the industry over soaring drug prices, Porges contended a Democratic sweep would strengthen the hand of activist lawmakers such as senators Bernie Sanders of Vermont and Elizabeth Warren of Massachusetts. Both would be likely to push for price regulations, shorter market exclusivity periods for new medicines, and a requirement that drugs developed with federal funding be licensed to multiple parties, he said. Not everyone holds that view. John Rother, president of the National Coalition on Health Care — which represents 85 consumer groups, health care providers, and insurers — said there is broad public support for capping drug-price increases, requiring more disclosures about how prices are set, and paying for new therapies based on how well they work. Such measures, he said, would be just as likely to come out of a split Congress. Clinton, who continues to lead in most presidential polls, has in the past enjoyed good relations with the biotech and medical technology industries. In recent years, she’s spoken before the Biotechnology Industry Organization and the Advanced Medical Technology Association. 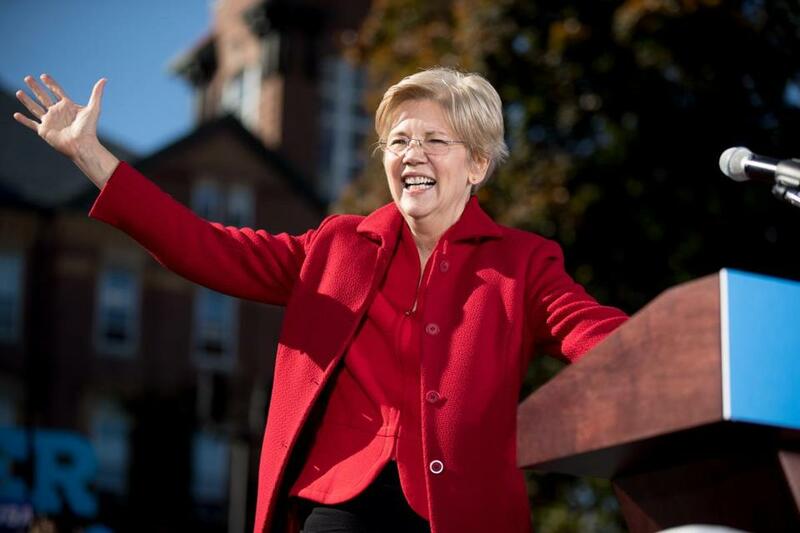 But as the Democratic nomination contest heated up earlier this year, she and Sanders both regularly criticized the industry over what they deemed price-gouging. Biotech leaders say Twitter attacks by both Democrats have eroded share prices. An August tweet by Clinton blasting price hikes for the EpiPen, a drug injector used to treat severe allergic reactions, sent shares of device maker Mylan Inc. down more than 5 percent and the Nasdaq biotech index down more than 3 percent. More recently, an Oct. 14 tweet by Sanders denouncing the “greed” of Ariad Pharmaceuticals Inc., which boosted the price of its leukemia drug, was followed by a 15 percent drop in the Cambridge company’s stock price. Leerink’s Porges estimated there is a 13 to 14 percent “valuation discount” built into current biotech stock prices to account for the possibility of what he called the “worst case” election outcome — Democrats winning the White House and both houses of Congress and potentially pushing legislation mandating everything from allowing imports of lower priced drugs from Canada to lifting restrictions on the ability of Medicare to negotiate drug prices. “These proposals have been favored by the liberal left of the Democratic Party, and a surfeit of control and power, on the part of Democrats, would leave the White House and Democratic leaders in Congress beholden to the resurgent left of the party, personified by Senators Bernie Sanders and Elizabeth Warren,” he wrote in his note to investors.